The Maryland Department of Natural Resources and Calvert County Parks and Recreation have produced a new water trails map and guide for county waterways and public water access sites. 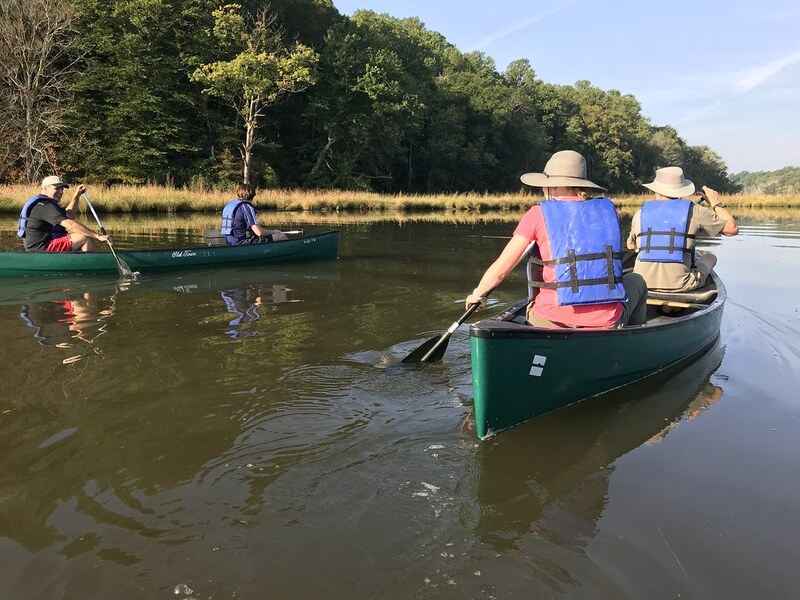 Water Trail Adventures in Calvert County: Discover the Charm of the Chesapeake features colorful maps, identifies locations of launch sites and support facilities, and provides information on cultural, historic and natural resources. It depicts six paddling routes along approximately 29 miles of waterways. “The new water trails guide will enhance outdoor experiences for area residents, attract visitors to explore Calvert County, and help spread the messages of environmental stewardship and safe boating,” Calvert County Natural Resources Division Chief Karyn Molines said. Other partners include the Calvert Nature Society, Jefferson Patterson Park and Museum, Patuxent Riverkeeper, and the towns of Chesapeake Beach, North Beach and Solomons Island. The National Oceanic and Atmospheric Administration provided funding for the new maps. The water trail map is available at the department’s Outdoor Store, Calvert County Parks and Recreation and other locations, including Jefferson Patterson Park and Museum, and the towns of North Beach, Chesapeake Beach and Solomons Island.